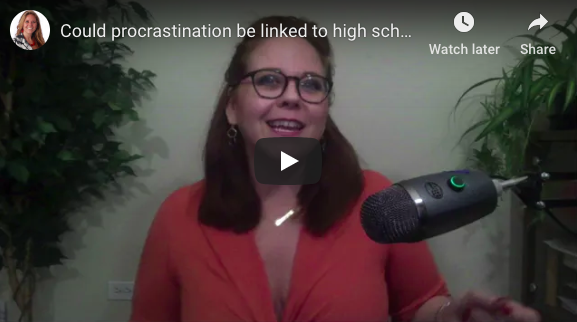 Could procrastination be linked to high school popularity?? – The Visibility Wound™ strikes again! What does being popular (or not) in high school have to do with being a successful business owner? In my work with entrepreneurs and professional salespeople, I talk about the self-limiting beliefs, or wounds, that stop us from achieving our goals. There are lots of ways we form the belief about not being good enough, (one being high school popularity contests). Think you’re over that high school nonsense? Think again. I can’t tell you how many entrepreneurs are stunned when they realize the link between their struggles to achieve their goals today, and the hurtful experiences their teenage self never fully healed from. The good news is, you can take care of that healing now. I offer a one-time coaching session called the Sales Wounds™ Deep Dive that clears these old beliefs in less than an hour and lets you get back to being productive and creative.